Home » Downloads » Why Make a Lasting Power of Attorney? Download our Why make a Lasting Power of Attorney guide today to help understand the importance of getting your affairs in order, before it’s too late. Our expert solicitors are on-hand to advise you based on your personal needs. 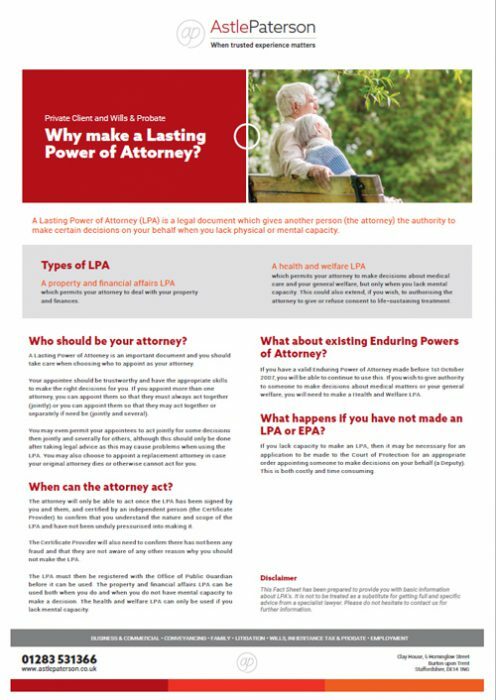 Download: Why Make a Lasting Power of Attorney?